Pigeon Forge, TN is a vacation capital! Let Whispering Pines Condo WP214 be your launch pad to the nearby attractions and shopping you came to experience! And after a fun-filled day, come back and relax around the pool while the kids burn off more energy (if they have any left!) at the lazy river! Raining? 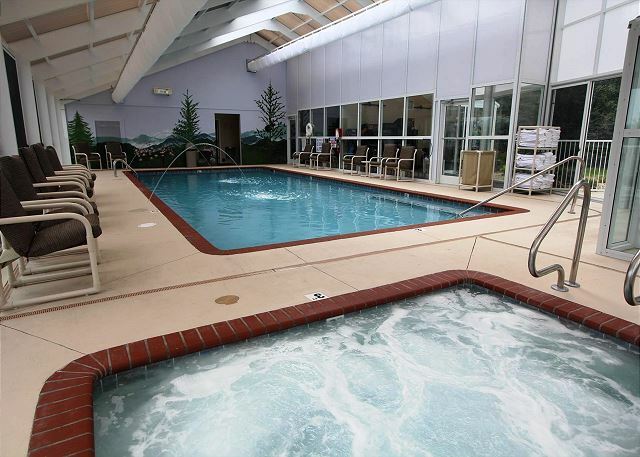 No problem – Whispering Pines has an indoor pool, too! When you are ready to dry off you will be welcomed home to a tastefully decorated condo that includes a fully furnished kitchen, newly carpeted living room, a dining room, and three king bedrooms, each with its own flat screen TV and DVD player, as well as a Jacuzzi tub in the master bedroom! In the evenings gather the family round for a great time of fellowship and food in the spacious living room outfitted with a flat screen TV/DVD player, seasonal gas fireplace, free Wi-Fi, and comfortable seating! There is also a washer and dryer in the unit for your convenience! Thank you so much for continuing to stay with us at Whispering Pines, Tammy! We're glad you were able to add another great getaway to your list. 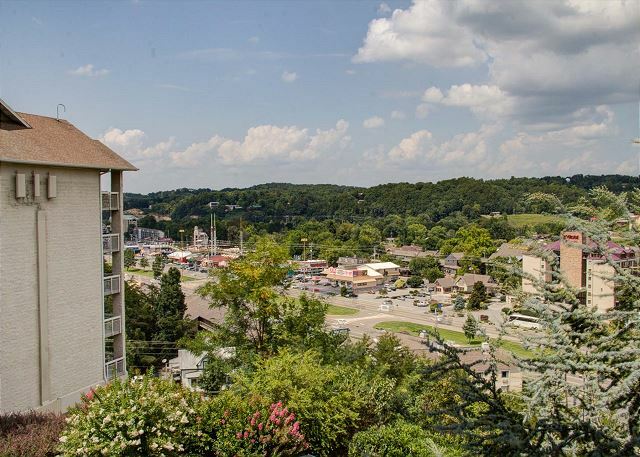 We hope you enjoyed city view condo 214 and we can't wait to see you again the next time you're visiting beautiful Pigeon Forge! Thank you for vacationing with us, hope to have you return again soon! We have stayed here at whispering pines for several yeses. Staff is always very friendly and helpful when you need them. We Can't wait for our next stay. Thank you so much for continuing to stay with us at Whispering Pines! We truly appreciate you and your kind comments regarding our staff, they mean so much to us. We're glad you were able to add another great getaway to the list. We're looking forward to seeing you again soon! Thank you so much for staying at Whispering Pines! We're absolutely thrilled to hear that you enjoyed your fall break with us here in beautiful Pigeon Forge. We appreciate you and your recommendation and we welcome you to stay with us again soon! Thank you so much for staying with us at Whispering Pines! We greatly appreciate your compliments about our staff and condos. Your recommendation truly means the world to us. Reviews like these reminds us of why we love what we do. Thank you so much for your kind words and we hope to see you again soon! We had a great time with lots to do and great pool/lazy river/hot tub accommodations. The condo was spacious, equipped, and lots of towels. We will surely be back. Staff was very friendly as well. Thank you so much for staying with us at Whispering Pines! We are so glad to hear that you had a great time and that you were able to take advantage of our on-site amenities. We're happy that you enjoyed the condo and that it had everything you all needed in it. We appreciate the kind comments regarding our staff, we are truly blessed to have wonderful team that all go above and beyond with their work. 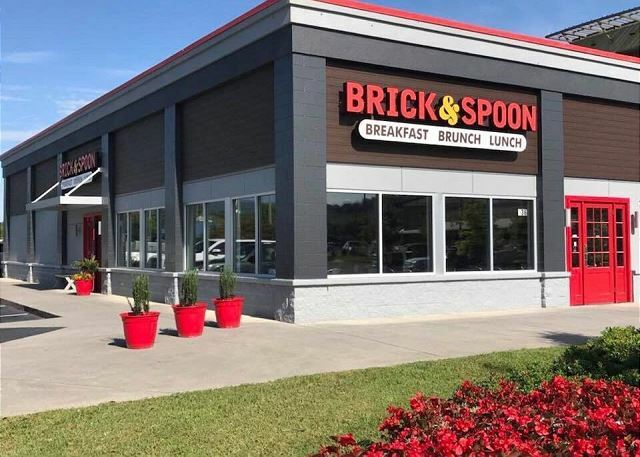 We can't wait to see you again the next time you're visiting Pigeon Forge! Everything you could possibly want. 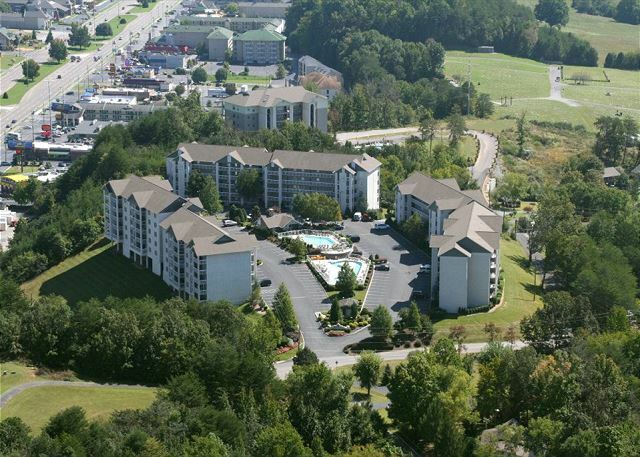 These are our favorite condos in Pigeon Forge! We love the city view from Building 1 and 2. The location is perfect. The grounds are very well kept. The condos are squeaky clean. We won’t stay anywhere else. Thank you so much for staying with us again at Whispering Pines! We are so thrilled to hear that we've become your home away from home whenever you're visiting Pigeon Forge. The city views are truly a favorite with our guests and we absolutely love hearing about how much you all enjoy them. Your kind comments mean the world to us and we can't wait to see you again soon! Our family of eight (three kids included)had a very enjoyable stay in this condo. It was very clean, had everything we needed and the staff was very professional. The kids (as always) loved the indoor pool. We would stay in this unit again! Great! Thank you so much for staying with us! We certainly appreciate the kind words! Glad you all had fun and we hope we can take care of you all again soon! Loved our condo. It was very clean and the beds were comfortable. We have 2 small children and they had lots of room to run around and play. Our condo felt very 'homey". Home away from home, that is what we want to be for all of our guests! We are very happy you all enjoyed your stay with us and we appreciate the kind words! We hope you will call us your home away from home next time you are in town. Merry Christmas to you and yours! Fantastic, home away from home!! This vacation rental experience exceeded expectations!! I have stayed many times with Whispering Pines and have never once been disappointed. Plan to go stay here next trip as well! Awesome! So glad you all enjoyed your time with us and we appreciate you being such a loyal guest! We appreciate the kind words and we look forward being your home away from home next time you are in town! We are so glad you keep staying with us, we love all guest but especially our repeat guests! See you next vacation. Happy New Years and Safe Travels! We stayed in a 3 Bedroom, 2 Bath, it was very spacious, lots of room, very clean , loved the Balcony. We were in room 214, great location, ground level, straight across from the Pool and Office. My Grandson enjoyed the Pool and Lazy River, but didn't find out till later they had an indoor Pool also, all was very clean. We had a Great stay. We are going back ! They Office Ladies were Wonderful ! Thank you so much for your kind comments regarding the office staff, property and pools! We hope you all made many great memories while in Pigeon Forge and we certainly look forward to having you all stay with us again! Thank you! We loved our condo! Perfect for our family. Clean. Pool was clean and warm! Views were gorgeous! The parking lot was easy to get in and out of! Look forward to staying here again! Wow A+++++ Wish I got grades like that in school! Thank you so much for staying with us and we are happy you enjoy your time here! Come back anytime! We make the trip to pigeon forge 3 to 4 times a year. We have stayed in almost every condo Pigeon Forge has to offer. This condo is the top of the list as being my family's favorite place to stay. We will most assuredly stay here on our next trip. Excellent! Thank you for taking the time to send us your thoughts and they are appreciated. We are glad you enjoyed your time with us and we will continue to work hard to make sure you enjoy every stay with us! We are so happy that the Girl's Weekend was a success. We are so pleased that you have always enjoyed staying with us. We appreciate you and look forward to seeing you in 2017. It was a very nice place.Very quiteand restful .Good location.Very good customer service.Will stay there again. From your review and comments, it appears that everyone had an excellent time. We look forward to you GIRLS spending another weekend with us at Whispering Pines Condos in Pigeon Forge, TN. It is our pleasure to have you as our guests. See you next trip. We had a very good time. The condo was clean and in fairly good shape. The fold out couch had springs broken in it so it could not be used for sleeping. Otherwise, It was a very good stay and we'll be back in the future. Thank you for staying with us and we will pass along the info to the owner and get that couch fixed, hope to see you again soon! Had two brothers who had not been there. Got a room with view . They were impressed by the room we had. One wanted too trade houses. Had time to reconnect and enjoy the time together . As for me, this is third time at Whispering Pines. Love it. We will be back. Thank you for returning! Happy to hear your brothers enjoyed their first time here as well. Hope you all made many memories! And we look forward to having you come back. I rented a 3 bedroom condo to accommodate our son and family for a weekend at Pigeon Forge and Dollywood. The facilities were great and the unit was more than we expected. Kids enjoyed the pool facilities and the location was perfect for us. I am working on a "girls" weekend this fall and am planning to book at Whispering Pines again. Awesome! Always great to make memories, especially family ones. Looking forward to seeing you this fall! It was a great experience. There was ample space and amenities for the entire family. It is close to many of the attractions and restaurants of the Pigeon Forge area. Would definitely consider staying here again. 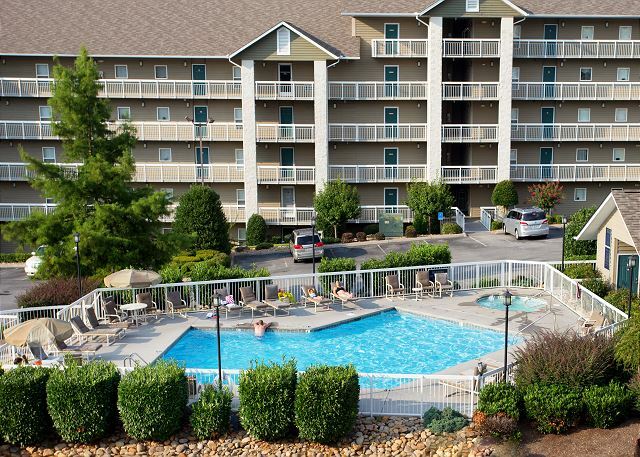 We appreciate your excellent review and stay with us at Whispering Pines Condos in Pigeon Forge, TN. We are glad that you had a great experience and will possibly stay with us again. Our family gathered together for a vacation of a lifetime. We enjoyed our stay at Whispering Pines. We had three units: a one bedroom, a two bedroom and a three bedroom condo which provided ample space for the entire family. Spacious, convenient to all attractions, quiet, yet very family friendly. The pool and lazy river were great opportunities for the family to share. We will be back next year. We love being a place that families can come to and relax while making many memories with one another. Thank you so much for staying with us and for your kind comments regarding your time with us! See you next year! We enjoyed our stsy very much. Thank you so much for your wonderful review of your recent stay in condo 214. We are so happy to know that you enjoyed your stay with us. We appreciate your business and look forward to your next visit. Thank you for staying with us Whispering Pines. 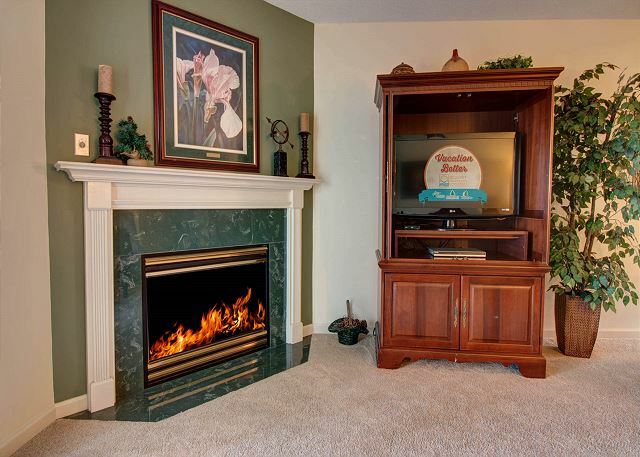 We are happy to know that you found the condo to be clean and with plenty of room for your family. We appreciate you and look forward to your return visit. Thank you for your patronage and for your review. Overall we had a great time as usual. Room was great with the exception that the new mattresses that have been put on the beds are as hard as bricks. We are glad that you had your usual "great time" at Whispering Pines Condos in Pigeon Forge, TN. I apologize for the new mattresses being too hard; maybe try a different unit next time. Thank you for your review. My Family enjoyed staying at Whispering Pines. It gave us everything we could ask for great rooms, pool, lazy river and location. Thank you for staying with us! We look forward to having you return again. Thank you for staying with us! We are pleased to hear you enjoyed your stay at Whispering Pines. We appreciate you and look forward to your next visit. We were pleasantly surprise by the roominess of the condo, the comfy king sized beds, and the beautiful relaxation areas: our deck, the pools, the covered grilling area. We were also impressed with the way the groundskeepers were keeping everything neat and clean. We felt at home! That's what we like to hear-We strive to feel like a home away from home. We appreciate you staying and hope you are able to return again soon! Every thing was good, except our condo was not ready at 4 pm. It was 6:06 before we got a call saying it was ready, by then we were out eating, and was 7:00 before we got in. We had great time. We are happy to hear you enjoyed your stay at Whispering Pines. I apologize that your unit wasn't ready until a bit after 6PM. Our check-in time does start at 4PM, but we don't guarantee a certain arrival time as we want all units cleaned and inspected before we allow guests to check in. Our housekeeping staff work diligently to make sure the units are incredibly clean upon each new arrival. Again, I am sorry and we do strive to have everything ready as early as possible. A lot of the time we are even able to allow guests to check in early. Thank you for staying with us and we are happy that you had a great time here. We appreciate your business and we certainly hope you choose to stay with us again in the future! It was great, nice and clean, close to the parkway and in walking distance of everything. Thank you for choosing Whispering Pines for your recent stay in Pigeon Forge. We are pleased to hear that you enjoyed your stay with us. We hope to see you again soon. Thank you for staying with us! We are pleased to hear you enjoyed your stay at Whispering Pines! We look forward to your next visit. Very very satisfied with our stay !!! We love to stay here, close to everything, very clean condo, friendly staff, clean pools and it feels like home. Thank you for staying with us and we are so glad that you took the time to write a review. We are big on guest service and hope to see you back soon! at time of booking there were only 2, 3 bedroom/2bath condos available so I figured they were probably the least desirable ones, pleasantly surprise at condition of 214, VERY NICE! 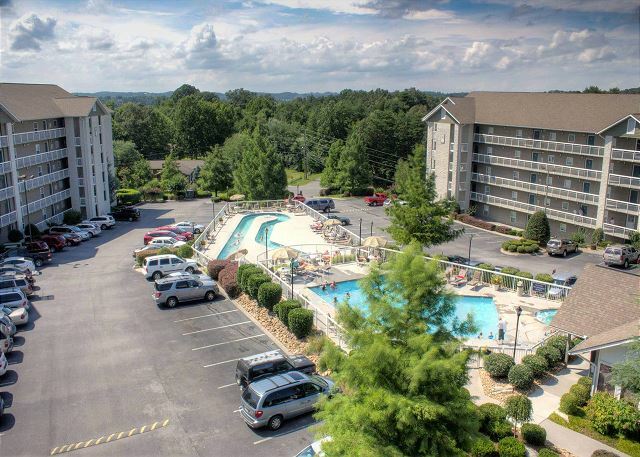 We are pleased to hear you enjoyed your stay in condo 214 at Whispering Pines! We appreciate your patronage and look forward to your next visit. We waited too late to find a place to stay and picked a weekend that was really too crowded to snowboard and ice skate with grandchildren. Finally, found this condo. Was very happy with it. It was clean, the pictures on the website were exact. Had a clean pool. Do not usually stay in condos,but this was great! We are glad you found us and thrilled that you and your family enjoyed the pool and had an enjoyable stay! We hope you will choose to stay in a condo with us in the future! Wonderful way to spend time with your girlfriends. We couldn't have visited so much and so comfortably in a hotel. And it only cost us $100 each for the weekend! This was our second year here and we plan to be back next year. Thank you ! We hope you guys made some great new memories! Really nice and very clean, loved the view from the balcony, all of my family members were very happy with it and the beds were awesome, so comfortable, we WILL be coming back. Thank you so much for your kindness!!!! We are so glad that you enjoyed your stay with us. We look forward to seeing you in the future! 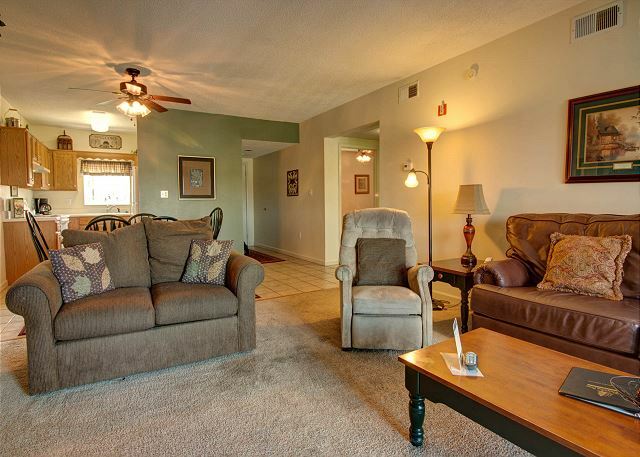 Our three-bedroom condo was clean and well-equipped, as was the one from an earlier stay at Whispering Pines. The desk staff was very welcoming and accommodating. Thank you so much for staying with us at Whispering Pines. We appreciate your kind comments regarding the condo and the staff. Cleanliness and Customer are very important to us at Resort Properties Management. We can't wait to see you again. The condo was clean and furnished nicely. We enjoyed the deck overlooking the city. Morning coffee and danish and spending quality time with family. We are so happy to hear that you were able to spend quality time with your family during your stay with us. Thank you for staying with us and we hope to see you again in the future. 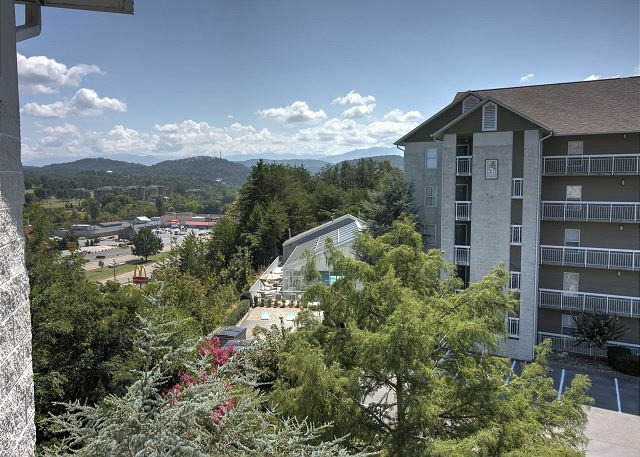 The condo was very nice and conveniently located to all of the attrations in Pigeon Forge and Gatlinburg. We were in town for a girls softball World Series, but also to vacation. The condo was within a 15 minute drive of most of the things we wanted to do. The security at the condo was also excellent. We had a great time and would definitely consider staying there again. We are so happy to hear that you had a great stay with us & enjoyed your time in condo 214. Thank you for taking the time to post a review. We hope that you will be able to visit with us again soon!